One thing I love about music is the thrill of the hunt, the crate-digging (virtual or actual) that eventually pays off in the discovery of a previously unknown gem. Of course, the gems are often few and far between, sandwiched between Moe Koffman comps and Lithuanian hip hop albums (if you’re lucky). It can often be discouraging when one thinks of the onslaught of albums already released and the plethora still released on a weekly basis. It can be exhausting and nearly impossible to wrap your head around, yet all the more rewarding when a new gem is unearthed. I’ve always taken it upon myself to pass on such gems to those I felt would glean that same joy from them. It began with passing along mixtapes, emailing mp3’s, even swapping vinyls with like-minded individuals. One of my favourite things about working at HMV was the ability to pass on recommendations to those who would otherwise not have enjoyed them. Well, that and the deep discount on vinyl. All of this leads us to today’s (long gestating) post. I pride myself on having a wide breadth of knowledge and tastes when it comes to music. I love Folk, Rap, Rock, Blues, Electronic, (old) Country, even Classical. To me, a good song is a good song, regardless of genre. 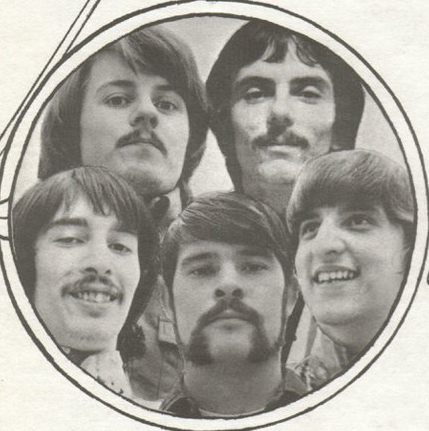 That said, arguably my favourite style of music is 60’s/70’s Psychedelic Pop. A lot of it is the production, the feel of the music itself, the inherent catchiness of oh so many “Beatle-esque” groups to follow the wake of mania. For me, there’s just something about a catchy 3 minute 60’s psych-pop track with gorgeous harmonies and interesting production. I can’t explain it much more than to dub it a sort of aural magic, rarely mastered but always welcome. Over the years I’ve sifted through countless of these albums, 90% of them subpar or good for 1 or 2 decent tracks. In a genre championed by many Nuggets-type compilations, finding a lesser known front to back quality album is next to impossible. For that reason, and of course my love of passing on great albums, I decided to compile a list of 10 great lesser known 60’s Pop-Psych albums that you may love (thus the title). Obviously I avoided well known classics like “Odessey and Oracle” or “Ogden’s Nut Gone Flake”, but in my opinion all 10 of these underrated classics deserves a place in your heart. Not to be confused with that “other” band (who they later sued), this 1967 gem was one of the first concept albums (and not the only one to be featured on this list). 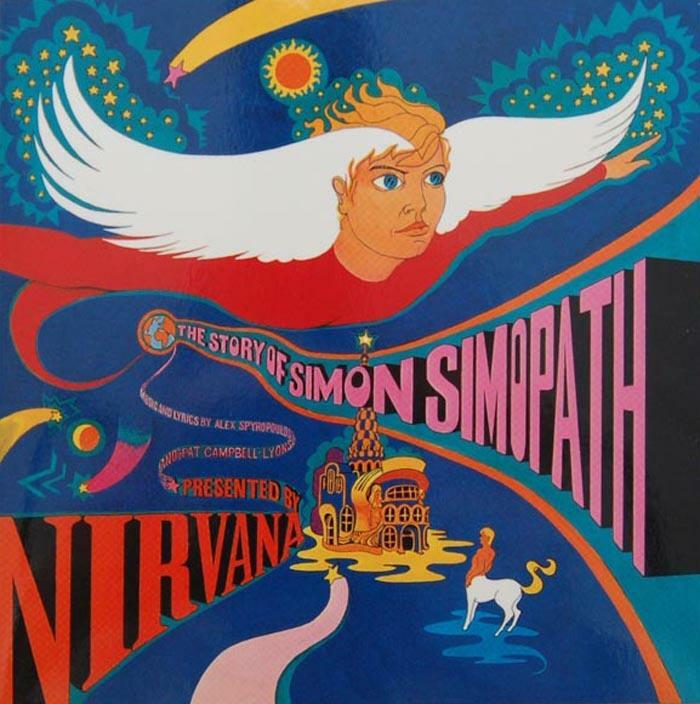 It tells the story of Simon Simopath, from life to death. Running a scant 25 minutes in length, TSOSS races by, but never feels rushed. It plays as a complete experience rather than a collection of tracks, though “Lonely Boy” and “1999” are enjoyable standouts. Nirvana was essentially a duo who hired extra studio musicians to complete their albums and play various shows / television appearances (including a memorable one in which they were covered in black paint by Salvador Dali. Weird). They’ve since regrouped and have continued to play shows to this day (much to the chagrin of confused grunge fans everywhere). Their follow up album “All of Us” (containing their two best known tracks, “Rainbow Chaser” and the title track) is enjoyable in its own right, but for my money, “Simon” is where it’s at. “Miss Butters” is an album that should really have a much larger following than it does. It’s catchy and well written (one of the songs is co-written by Harry Nilsson himself), truly a delight from start to finish. The first time I discovered it I couldn’t believe it had eluded my ears for so long. 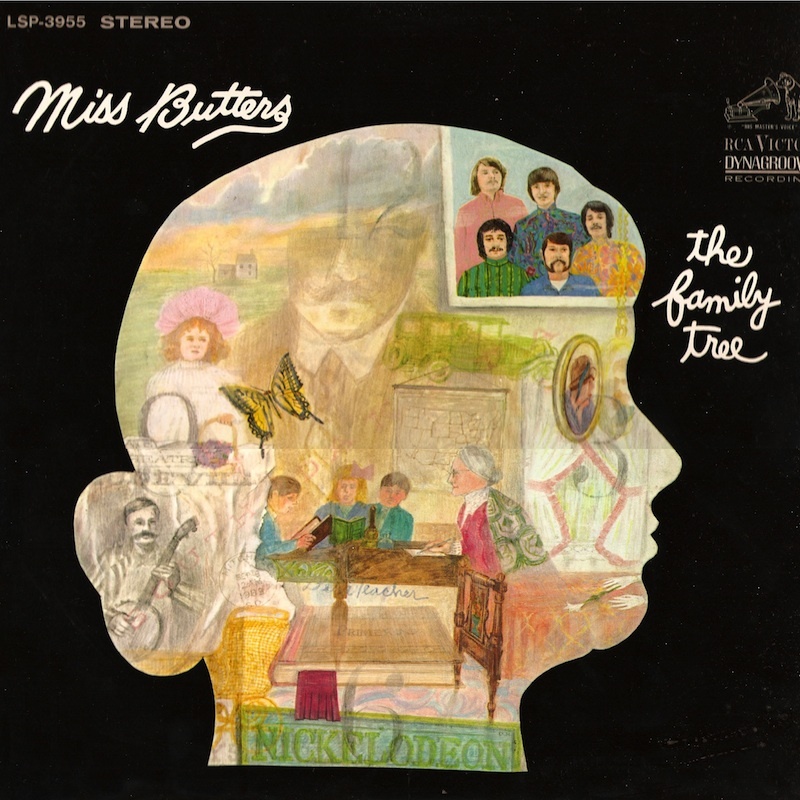 Much like Simon Simpopath, Miss Butters is one of the earliest concept albums and tells the story of its title character, from birth to death. The Family Tree was the brainchild of Bob Segarini, a man I was lucky enough to speak with and properly thank for creating such a gem of a record. “Miss Butters” was their only full length record, though they did record a handful of other singles before disbanding. It’s interesting to note that “Miss Butters” was produced and arranged by the same two men who worked on Nilsson’s “Aerial Ballet” (another favourite of mine). Their skills certainly lend a wonderful, almost ethereal quality to the proceedings. In my mind “Miss Butters” is one of the greatest lesser known 60’s pop records of all time. The story is interesting and well told, the music is timeless and the harmonies can’t be beat. Simply put, “Miss Butters” is the kind of record you spend a lifetime digging crates to find. I’m ashamed to admit that I didn’t come across this record until earlier this year, but it’s easily one of the best albums on this list. The production, the vocals, the hooks, the weird cover art, it’s all here ! I remember listening to this for the first time and praying that it would maintain its quality throughout the entire record. Luckily for me (and you), it’s not only an enjoyable record from start to finish, it even has a great b-side (“The Dead Boot”) ! 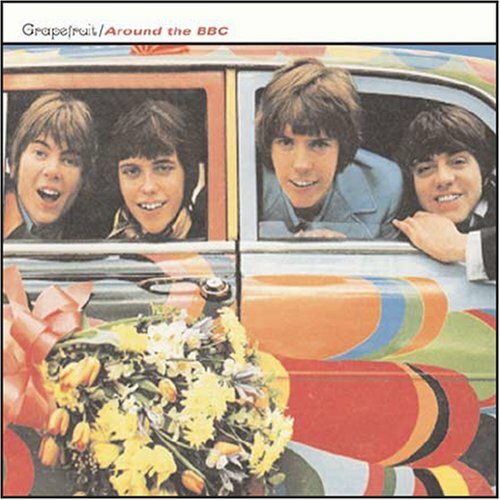 Grapefruit were an interesting band for a number of reasons. 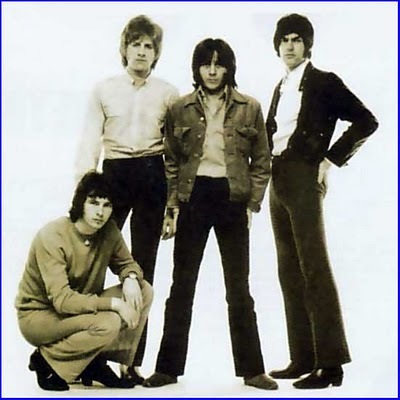 One of their members (George Alexander, born Alexander Young) was the brother of AC/DC founders Malcolm and Angus Young as well as George Young of The Easybeats (impressive family). In addition to this, they were named by none other than John Lennon himself (after Yoko Ono’s book “Grapefruit”). 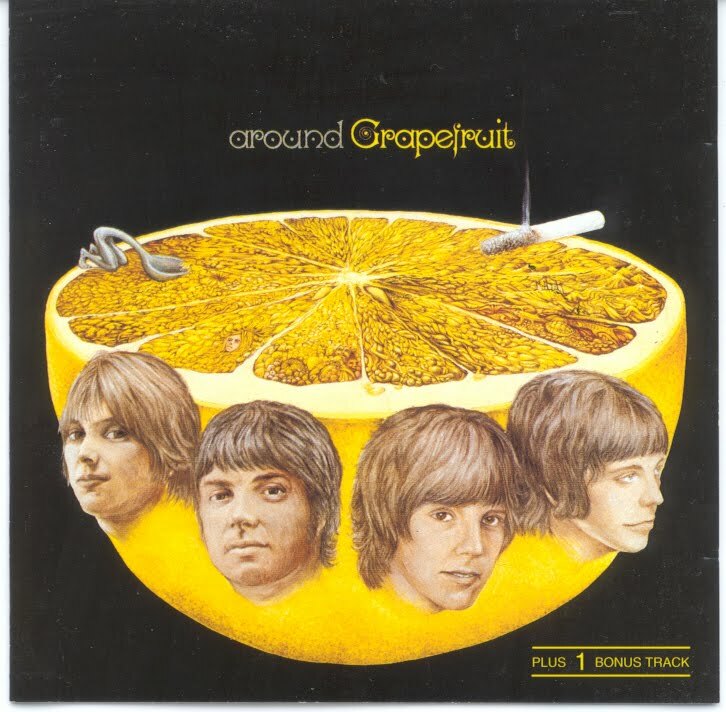 They were originally signed to Apple Records, though the label was not up and running in time and “Around Grapefruit” was released by Decca instead. Despite releasing a few relatively successful singles, the record was not nearly as successful as all involved had hoped it would be. 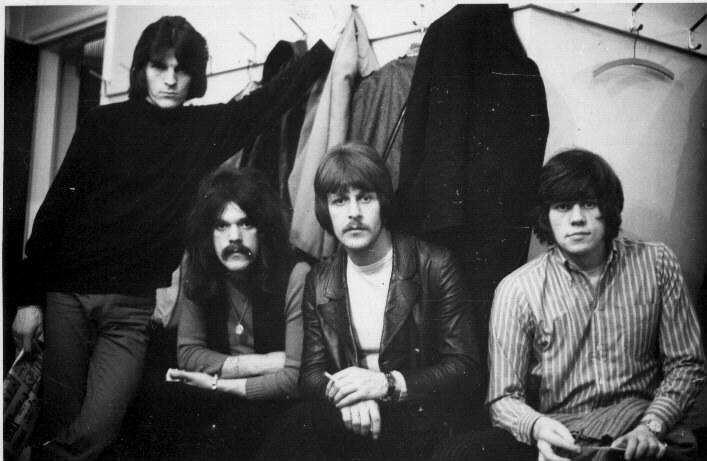 For their second (and last) record “Deep Water” they ditched their psych-pop sound entirely, favouring a harder rock sound (much to the chagrin of their fanbase). Again, success eluded them and Grapefruit disbanded, leaving behind a gorgeous pop masterpiece just waiting to be discovered. 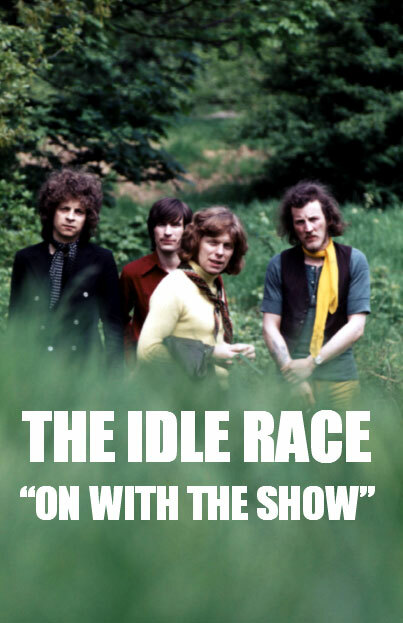 Unlike most of the groups on this list, The Idle Race are somewhat better known. This is mostly due to their singer/songwriter, the incomparable Jeff Lynne. Before he jumped ship to join The Move, ELO, The Traveling Wilburys or write/produce Tom Petty’s biggest hits, Lynne anchored The Idle Race and made this incredible record. The Beatles influence is undeniable, but never comes across as subpar or ripped off. Lynne’s ear for melody and songwriting chops are incredible, making this genuinely feel like a lost Beatles album at times. It’s ironic that Lynne is the least recognizable of The Traveling Wilburys, as he was arguably the most prolific. He was in no less than 4 groups who released multiple albums, he released 2 solo albums, wrote and recorded for countless artists (including re-invigorating the career of one of his heroes, George Harrison) and when someone needed to sift through and produce the 2 “lost” Beatles Anthology tracks (“Free as a Bird” and “Real Love”) it was Lynne that was brought on board to essentially be the 5th Beatle. The results of those sessions were astounding, especially considering what he had to work with. It all began with The Idle Race, and even then his talents were easy to hear. Lynne left the group after their second album was released. The Idle Race soldiered on with a Lynne-less third record (which actually wasn’t bad), but “The Birthday Party” was truly their masterpiece. Speaking of “The Move”, one could argue that they were actually not so lesser known. They had 9 top 20 UK hits in a 5 year span and were actually quite successful there. That said, and like countless british bands before and since, success in the United States always eluded them. 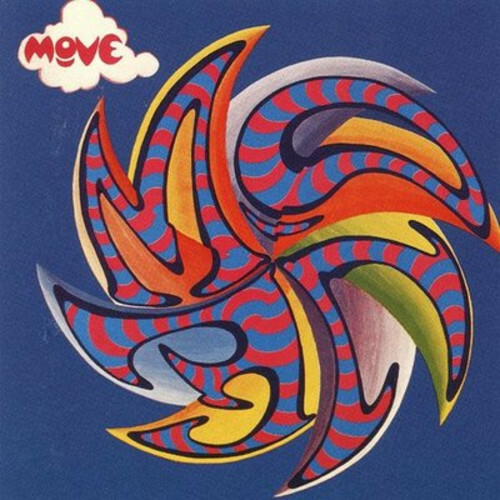 Founded in 1965, The Move are probably best known for eccentric singer/songwriter Roy Wood. 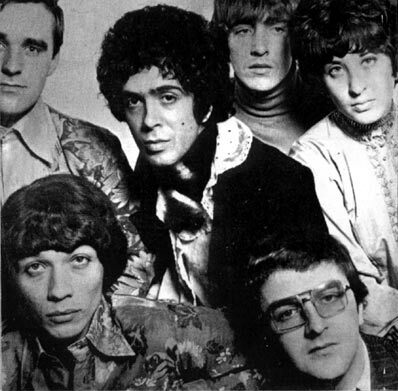 Wood had become friends with Jeff Lynne and offered to bring him on as a member of The Move, though Lynne initially declined, preferring to focus on The Idle Race instead. While Lynne would eventually join The Move for their third and fourth albums, it’s their self titled debut album that’s always stuck with me. Oddly enough, The Move had arguably better non-album tracks than album tracks, especially for their second and third albums. Tracks like “Blackberry Way”, “This Time Tomorrow”, “Curly” and “Tonight” were among their strongest. I would also reccomend Wood’s 1973 solo album “Boulders”, another underrated gem. 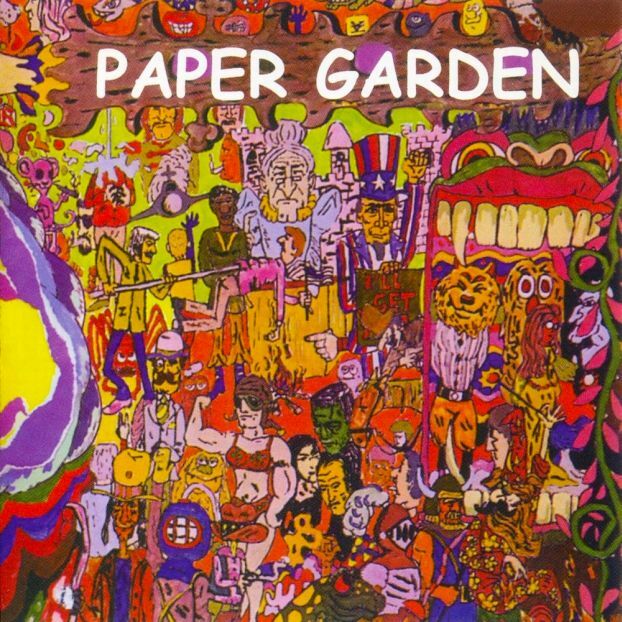 The Paper Garden is another band that I only recently discovered. 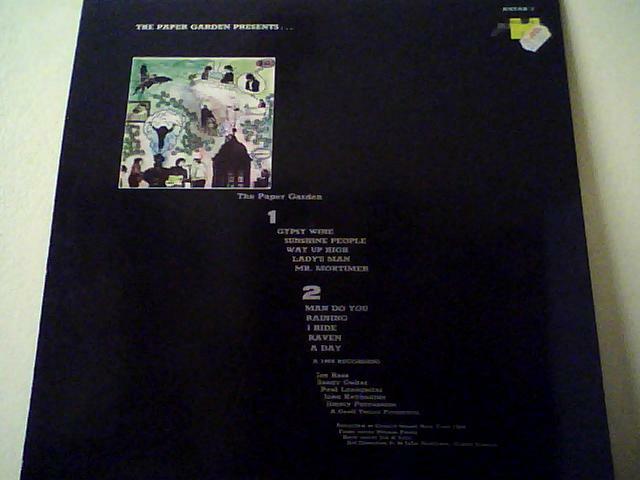 Unlike most of the other bands on this list, The Paper Garden were an american group, hailing from New York. 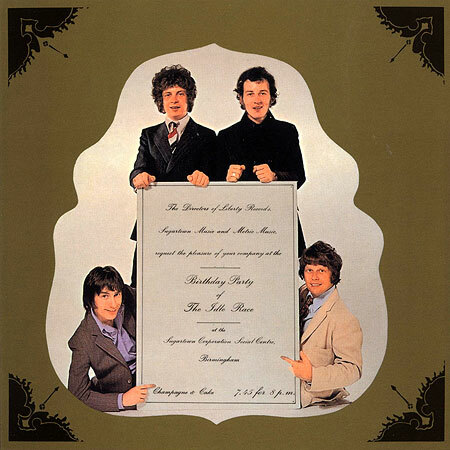 This obscure album was to be their only release, though that almost adds to it’s appeal. The sound of the album is something of an amalgamation of Grapefruit, The Zombies, Nirvana and even a bit of Pink Floyd. While not nearly as flawless a release as, say, “Miss Butters” or “Around Grapefruit”, the production is excellent and some of the songs are absolute gems (especially “Gypsy Wine” and “Mr. Mortimer”). All in all, a pleasing listen with a bit of clutter here and there. 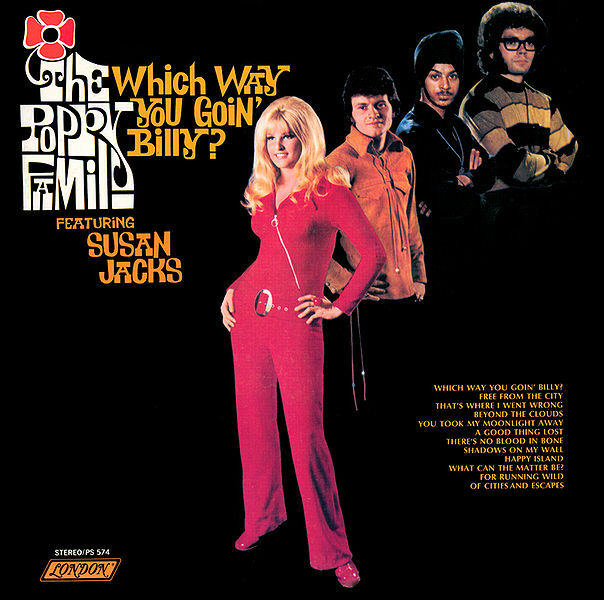 The lone Canadian act on this list, The Poppy Family were best known for the title track of this album, the worldwide smash “Which way you goin’ Billy ?”. Oddly enough, it’s the one track on here that I don’t really care for. I mean, it’s okay, but a bit sacchirine, and nowhere near as good as the rest of the album. The Poppy Family were essentially husband and wife duo Terry and Susan Jacks. This album featured two additional musicians, but they were both released following this record. 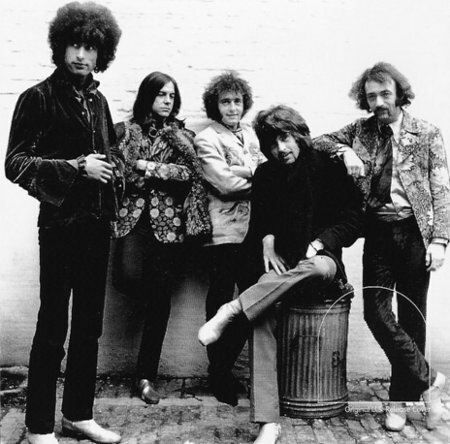 The Poppy Family released one more album before divorcing and heading off into solo careers, but it was much more of a country record than a psych-pop one (sadly). I first heard their music when I discovered a stack of records in a vacant lot near my apartment. One of those records was their “Beyond the Clouds / Free from the City” single. I really dug the sound of it and quickly tracked down the surrounding album. Interestingly, I realized that I’d heard elements of two tracks (“What Can the Matter Be?” and “Of Cities and Escapes”) sampled on the classic debut hip hop record by Deltron 3030. Neat ! Don’t let the name or cover art fool you, this album has nothing to do with the L Frank Baum stories. 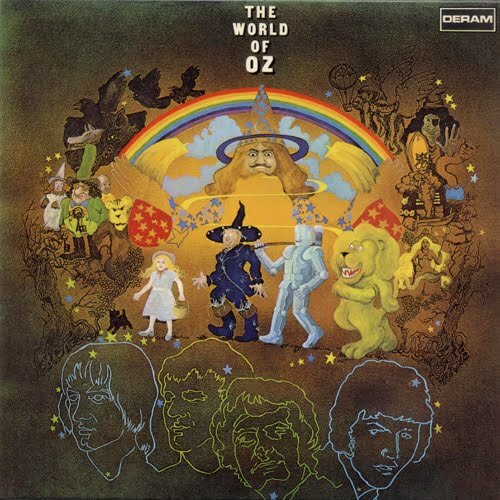 Like most 60’s psych-pop bands, The World of Oz faded into obscurity after releasing their lone album. Unlike most of those bands however, they were signed by the famous Deram label and given the use of a 33 piece orchestra. The results sound amazing. While lyrical depth is not something they were known for, the lush production and angelic vocals really set this record apart from the legions of other pop offerings. Their best known track, “The Muffin Man”, is a bit silly, but damn if it doesn’t lodge itself into your brain. There’s certainly a “Twee” element to a lot of their material, but the harmonies and orchestral backing are transcendant at times. 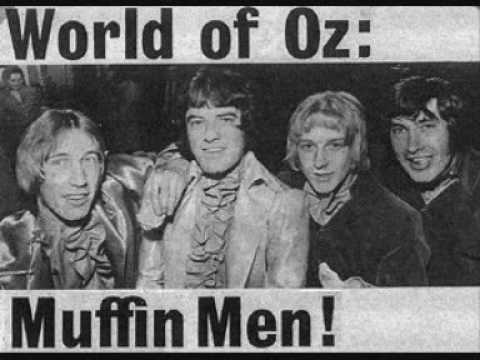 Despite releasing a few moderately successful follow up singles, The World of Oz faded into obscurity. Likely they were hindered by listeners who confused them with some sort of Oz tie-in soundtrack. The album has since become a highly sought collectable. In addition, they too had a great b-side (“Peter’s Birthday”). All in all, the album may not be high art, but it sure tastes sweet to the ears. Much like “Around Grapefruit”, “Story” is an incredible record that deserves to be known as a classic. Honeybus are mainly known for their hit song “I Can’t Let Maggie Go”. As good as that song is, it certainly doesn’t prepare you for their full length record. Oddly enough, it isn’t even ON their record, though it certainly doesn’t suffer for it’s exclusion. Honeybus are a bit of an odd case. The man who wrote their biggest hit (Pete Dello) left the group before they began recording “Story” and doesn’t even feature on the album ! Essentially, the group was forever linked with a song that someone no longer part of the group had written. You’d think his departure would have an adverse effect, but as it turned out, members Ray Cane and Colin Hare were both gifted songwriters in their own right. Somewhat like The Zombies after the completion of “Odessey and Oracle”, Honeybus broke up before their record had a chance to catch on. Dello would later re-join the group for a second album (which was recorded but never released), but further success was sadly not to be. Both Dello and Hare released excellent solo albums in the early 70’s, but the feel of the original record may never be topped. While technically a cheat (since this was released in 1970), this album was just too good to omit. I’ll also admit that the album isn’t exactly “pop”, though it features enough hooks and catchy material to at least flirt with that title. 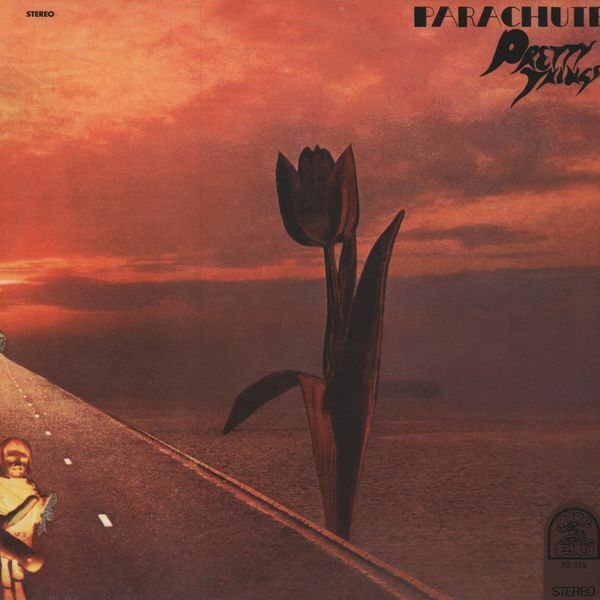 The Pretty Things are a bit of an odd duck. They were quite prolific and dabbled in many different genres. That said, I can’t say I’m a huge fan of theirs in general. Oddly enough, my first exposure to their music was very likely their track “Cause I’m a Man” from the original Dawn of the Dead. Of course, I didn’t know it was them at the time, but I suppose that goes to demonstrate their versatility. Their previous album, “S.F. Sorrow” was another concept album (and actually would make more sense in this list since it was released in the 60’s). Apart from their contribution to Dawn of the Dead, these two albums are the extent of my interest in their output. “Parachute” opens with two 3-part suites that flow impeccably and set the tone well. The album is a mix of rock, pop, psych, blues and more. For me (and many others) it was their swansong, but what an album to go out on (technically they had 7 more albums, but anyway). And there you have it, 10 (9) catchy 60’s albums well deserving of your attention. I’ve been meaning to get this typed up for months now, but I never really got around to doing it until today. I suppose when you’re writing for fun and without deadlines it becomes much easier to shirk and avoid finishing. That said, I hope this has been somewhat informative and will lead even one of you to discover and enjoy something new, as I have. When it all comes down to it, that’s what music is for, and what makes it all worthwhile. 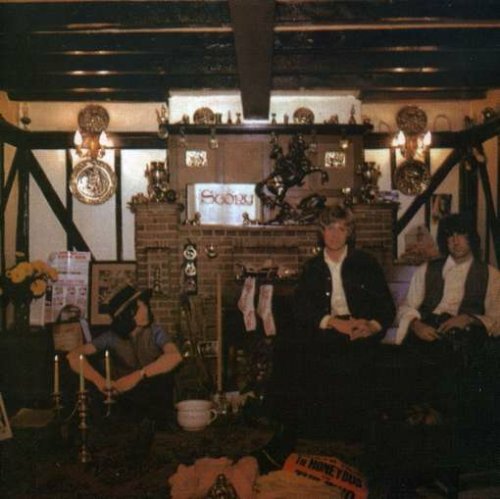 This entry was posted in Reviews and tagged 60s, amazing, Awesome, Beatles, gem, gold, great, Kinks, list, lost, love, LP, Music, Nuggets, Pop, Psychedelic, rare, Rock, Tunes, Vinyl by lazron. Bookmark the permalink.